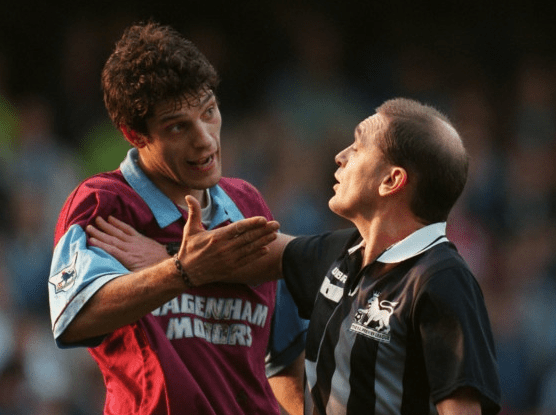 West Ham, Teams Phoning It In And How Are Villa And Leicester Alike? West Ham are an ideal team to shred apart post season, with a view to define what happened. Viewed season long, their defence has been secure beyond the evidence shots or expected goals shows us and their attack, by my reckoning, is currently riding it’s second wave of the season, and maybe even a third peak. Simple stuff tells stories and they are converting 13% of all their shots and 38% of their shots on target since halfway. That’s high, just as it was during the opening weeks of the season, and overall their entire season, much like Leicester’s, has been defined by being on the right side of the percentages, where most of the larger clubs have not. Where they can find encouragement, is that their attacking volume has increased as the season has gone on. They rank third for shots and fourth for shots on target in the second half of the season, which represents a big uptick. There’s even a reasonable case to be made that they have been unlucky in recent weeks, just when their shot volumes have started to steer in the right direction and point towards dominance and victories, the goals have started flying in at both ends; their last six matches have all featured four or more goals and they could easily have won more than two of them. That they haven’t lost any of them either, once more shows that even when West Ham have found things not going their way, it hasn’t bitten them. Let’s not get carried away: overall they are still a par shooting team albeit one that experiences a high volume of events–a combined 28.5 shots per game leads the league–so there’s a lot going on. Plus, we shouldn’t forget the wild autumnal skews at both ends, but i’m far less inclined to predict a huge fall next year than I might have been a couple of months ago. West Ham long term could be something like the real deal, it’s just that their volumes have run around 6 months behind their conversions, and it’s probably a coin toss as to whether reversion or that wins out going forward. They are somewhat enigmatic. Having just lost their tenth consecutive game, it’s fair to say that this season has petered out somewhat for Aston Villa. While only technically relegated last week, their season was doomed to fail a long time ago. Having seen Tim Sherwood oversee a four point haul in his ten games in charge, that Remi Garde took another ten games to secure four more meant it was likely to be curtains at Christmas. So much so that January investment became pointless–especially after heavy summer spending–and the club meandered into a further abyss, where they currently reside. This now irrelevant continued post-Christmas malaise got me wondering about miserable runs and I didn’t have to look far to find another: Leicester City in 2014-15 had an autumn to forget and of the 12 games they lost during the first half of the season, at one point lost ten from eleven games. Their “seven points from safety at the end of March” tale has been well told, but it’s fascinating to compare Leicester 2014-15 and Aston Villa 2015-16 as a representation of the fine margins that exist. At halfway, Leicester had 13 points and Villa 8, after 25 games the difference only one point; 17 to 16 in favour of Leicester and this is where they diverge: Leicester doubled their points tally in ten games to 34 and Villa lost ten straight. If we look at some shots numbers, their tales are similar. At that same 25 game point Leicester had a shot on target ratio of 42%, Aston Villa 41%, both bad numbers but broadly in line with what you’d expect for a bottom five or six team. The magic of expected goals paints a similar picture, each team around minus 13 or 14 for the season at that time too. Aston Villa have been a minimum of seven points from safety since the 29th of November whereas, Leicester were never more than five points back until they hit that seven point deficit during March, so while they faced an uphill struggle and defied the odds, it was very different that Villa’s five month long death sentence. As well, Leicester, in the prologue to the best damned sports film you’ll ever see, had zero expectations. As Premier League newcomers they therefore had little to lose but their run to safety came as they improved their real goal difference by 9 while expected goals were flat. That +9 goal gain across thirteen games was a massive positive boost, and something that miraculously continued through to this autumn. Both teams could be frustrated that the first half of their seasons provided such little return. Sherwood’s tenure, though underwhelming, found no fortune in point-getting and he could reasonably be assumed to have improved that a little had he remained in charge. His team were struggling hugely to find the target (37%) but via expected goals were around five goals behind; over ten games that’s huge and while his methods weren’t working, some reversion may have been expected. Garde never got his team going at all, merely replicating moderate numbers and carving out no positive skew whatsoever. Flat shot totals and expected goal numbers mirroring reality showed a bad team not doing well before inevitably his tenure was cut short. And that’s that. Two teams equally destined to struggle for two thirds of a season before their trajectories took entirely different directions. For Villa, who tried to blend an analytically focused recruitment approach with some “good old Premier League boys”, an uncertain future, redundancies and rejection of the modern recruitment structure to which they half committed. For Leicester endorsements and glory: an unlikely title is near. A three teams for two slots relegation battle might be keeping it interesting for those involved but has inadvertently caused a log jam of teams that are phoning it in, over and above the usual suspects that exist in the mid-table hinterland. Chelsea are seven points off 8th and Crystal Palace are eight points clear of seventeenth, so eight teams are residing in a place where results no longer really matter. It’s not Stoke’s fault they have faced Liverpool. Tottenham and Manchester City in consecutive games but to concede four on each occasion seems a little careless. Bournemouth have continued their weak form against the larger clubs with only a win against Villa in the plus column recently. Chelsea, at least finding some finesse with a returning Eden Hazard, have been playing largely at half pace for weeks and Crystal Palace, Everton and Watford have all been dreaming of the Cup. That only leaves Swansea (two big defeats in a week) and West Brom (safe in the 40+ point Pulis zone) from the 9th to 16th placed teams, none of which have much motivation to perform in the league right now. Well, yeah, but if we look at these 8 teams and their last six matches–while recalling that the gap between Swansea in 16th and Sunderland in 17th, so relative safety, prior to these being played was eight points–we find interesting results. During this period, these eight teams played 32 games against teams other than them, so the top eight or bottom four. Three of them beat Aston Villa, Crystal Palace beat Norwich and West Brom beat Manchester United. Yep, they won 5/32 games against the rest of the league. That’s pretty poor for a middle tier and worse still if we exclude Aston Villa who can’t even summon a draw at this stage. I can’t say if anyone is making good money betting against these teams, draws are likely to hamper that, but nobody is making money backing them to win. That the bottom four found themselves so far adrift from the rest of the league is somewhat unique and has contributed to this mid table malaise, but when Sunderland stoically refuse to be beaten (2-6-2 last ten) or Newcastle put in spirited performances (draws at Man City and Liverpool), that they aren’t closer to the lazy lot above them must drive their owners crazy.